We’re delighted to have welcomed no fewer than 7 new members to the 20/20 ladies network over the last couple of months. Our newest recruits include a travel agent, a photographer, a business coach and commercial lighting and communications specialists. Having attended one or two meetings as a visitor, our new members decided that 20/20 was the business network for them and their business. Louise Attenborough from The Chocolate Collective, who hosts gourmet chocolate-making events and parties, first visited 20/20 on the recommendation of a current member. 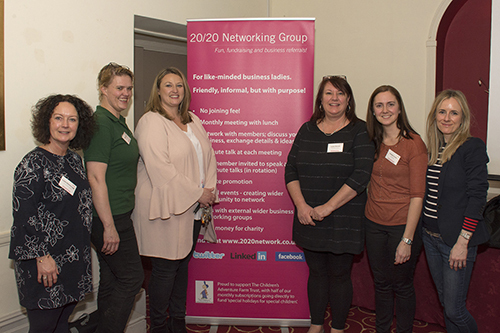 She was looking for business networking opportunities in the Altrincham and Cheshire area and thought 20/20 was the perfect match for her business. When Photographer Vanessa Lozano was looking for opportunities to network her business, she came across 20/20 Networking via our website. She immediately liked what she saw and asked to visit because it looked a “really friendly and fun group”. Experienced personal travel agent Rachael Quinton joined up after attending our popular annual open meeting in October. Our support for The Children’s Adventure Farm Trust (CAFT) was another big draw for all our new members. The opportunity to make a positive difference to children’s lives through the monthly membership fee, as well as supporting CAFT events in person, is a cause all our new recruits (and existing membership) fully support.